4 Colors Available. 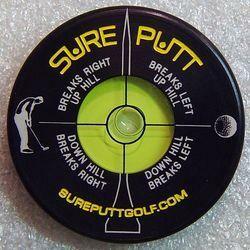 Sensitive to even gentle breezes, giving golfers a better determination of wind direction. Click on "Flag Color" and large picture will change to flag color of your choice! 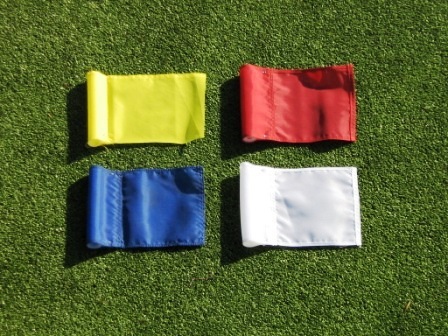 Lightweight 400-denier nylon construction makes flags sensitive to even gentle breezes, giving golfers a better determination of wind direction. Improved steadfast colors, thanks to a patented DuPont process. 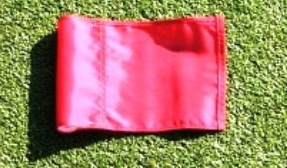 Unlike heavy sailcloth flags, ours minimize premature wear on sticks and cups, and decrease the chance of flagsticks being blown out of cups. 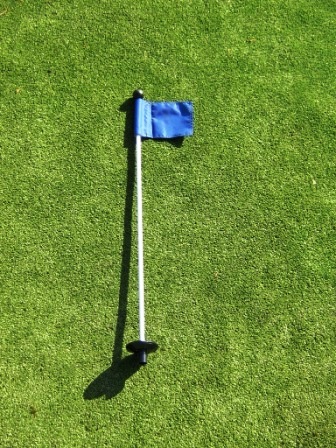 Each flag has a tube style plastic insert with an inside diameter of 5/8" so the flag will move easily in the wind on the marker stick. A smaller hole on the top keeps it from sliding down the marker stick. Available Solid Colors are Red, Blue, Yellow, & White. From Eileen of Litchfield Park, Arizona on 6/14/2016 . From Anonymous of San Diego, California on 5/26/2016 . From Anonymous of Houston, Texas on 5/26/2016 . From Lisa Miller of San Antonio, Texas on 2/8/2016 . From Anonymous of Lago Vista, Texas on 10/6/2015 . 8/27/2012 – Are there any specials for first time clients such as free shipping?